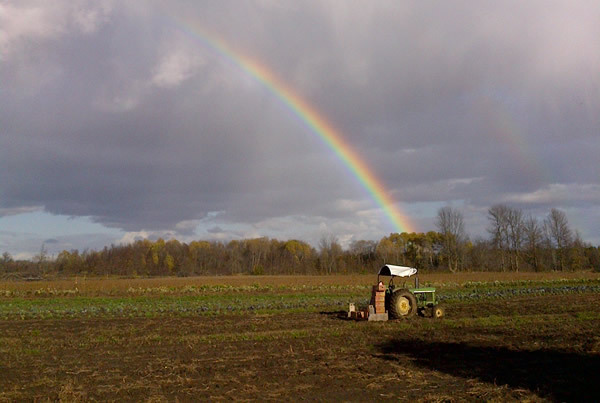 The Ottawa Food Bank not only works with local farmers and accepts fresh produce donations, but we also grow food on our own plot of land that was donated to us at the Black Family Farm near Stittsville. This program is in part how we are able to deliver such a high proportion of fresh food to our agency partners. 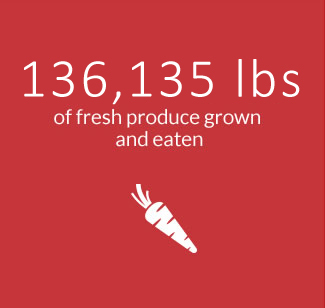 The Community Harvest Program grows and collects nutritious, local produce for clients served by Ottawa Food Bank member agencies and across the national capital region. It is generous local farmers, volunteers and funders that enable this program, for whom we are profoundly grateful. The Ottawa Food Bank collects food in many different ways. Our main collection method is through our red bins at grocery stores across the city. 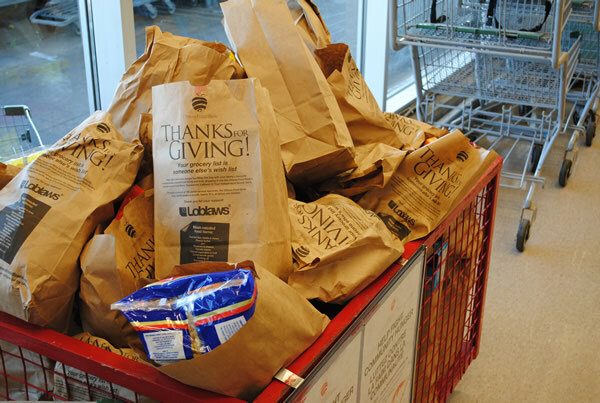 We have multiple drop-off locations in the Ottawa region to make donating food as easy as possible. Once you donate food to the Ottawa Food Bank from a drop-off location, it gets picked up and sent to the Ottawa Food Bank headquarters to be sorted and distributed to member agencies across the city. Click here to search for a food drop off location in your area. Along with reclamation and recovery of fresh fruits and vegetables through local grocers, we also work with a large number of grocery stores to recover high-quality meat. The stores take top-grade meat and freeze it before the expiry date. We collect these items every week and provide them to our meal program partners, like the Ottawa Mission, St. Joe’s Supper Table, and St. Luke’s Lunch Club where it is turned into delicious dishes for those who need a warm meal. Many people don’t realize that the Ottawa Food Bank spends roughly $1.6 million a year on food to ensure we are able to keep up with demand and make certain we are providing a variety of nutritious and balanced options. 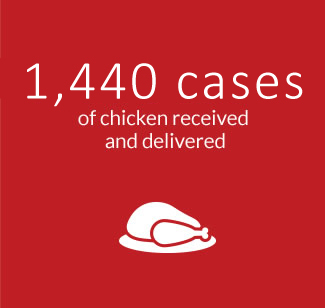 Because we obtain food in such large quantities and have amazing food industry partners and supporters, we are able to make your donation go further. 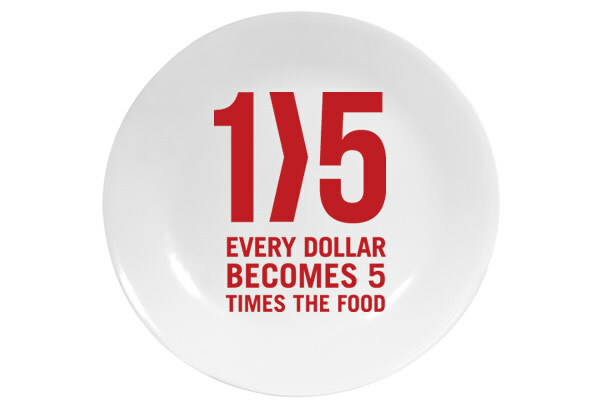 This means that every dollar donated equals $5 of food delivered to the community. 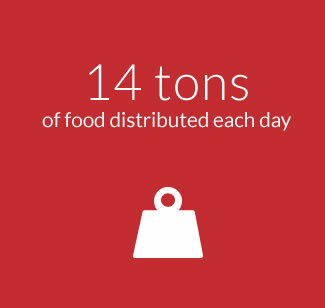 Once food is received from the community and our corporate and food industry partners, it is sorted into roughly 30 different categories. This process ensures that we always know exactly what we have on our shelves and of what we may be in need. Our food sorting section of our warehouse is completely volunteer run. Our volunteers are trained to look at the condition of the donations as well as the expiry/best before dates to ensure only safe products get into the hands of our neighbours in need. To volunteer, contact our Volunteer Coordinator today. 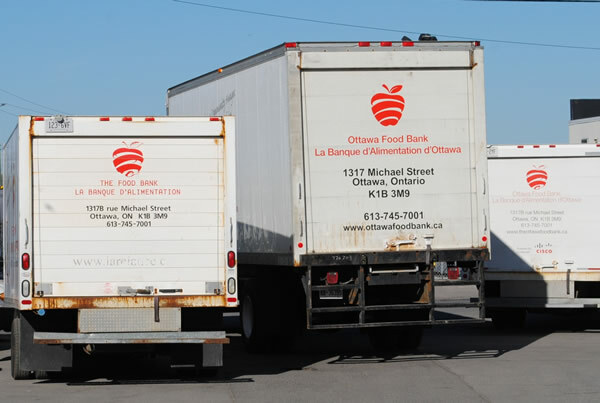 After food is sorted, it is distributed by our fleet of trucks to our 114 member agencies across Ottawa. We have a lot of ground to cover, but our drivers use routing software to ensure we take the most efficient routes. If you’re in need of food, our member agencies cover the Ottawa area in full to meet the needs of everyone in the city. The Ottawa Food Bank provides food for agencies ranging from the big downtown shelters and small community food banks to multi-service centres and school meal programs. We couldn’t accomplish all we do without our network of member agencies who work hard every day to give the food we distribute to hungry people throughout our city. Fresh is best. 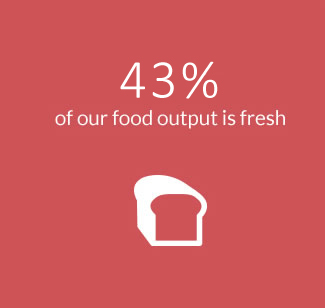 That's our approach to raising and delivering food.